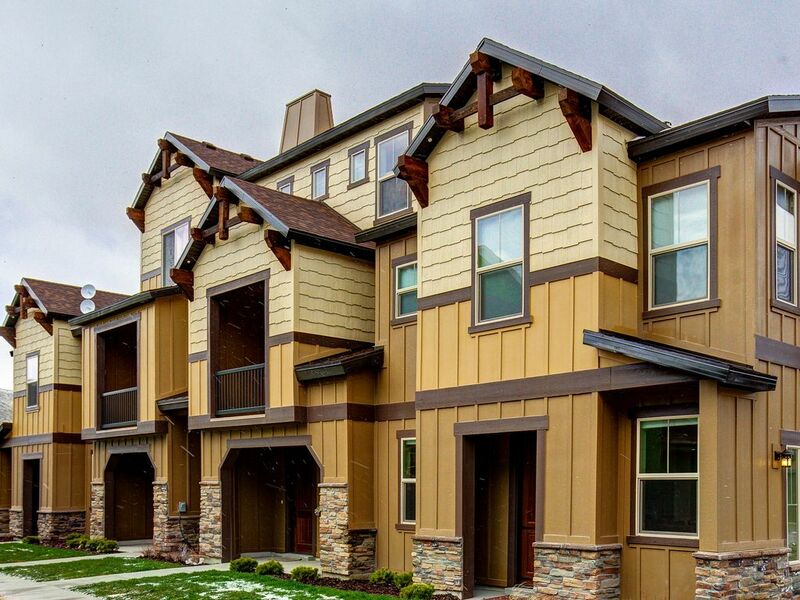 Whether you're in Utah for summer sunshine or a winter wonderland, this townhouse has everything you need for your next vacation. Families of all sizes will love being so close to shops, restaurants, and activities like golfing and skiing. Park City's cafés, bars, and art galleries are only six miles from home, making it easy to visit whenever you like. In the wintertime, enjoy easy access to the city's thrilling ski slopes. And with Painted Valley Golf Course to the north and the Jordanelle Reservoir to the south, there's no shortage of ways to enjoy the summer months. Enjoy the shared HOA amenities including a seasonal pool and hot tub, open from Memorial Day to Labor Day. Work up a sweat in the shared fitness room in the clubhouse then stroll through the quaint neighborhood. Back at home, the living area's cushy leather sectional provides an ideal vantage point for enjoying the flatscreen TV and free WiFi. A fully equipped kitchen is only steps away, complete with granite countertops and appliances like a dishwasher for easy cleanup. Start your next Utah adventure now - save your dates today! Parking Notes: There is a two car garage and some community spaces that are available on a first-come, first-serve basis. The garage door code is 1182. Note that the hot tub is about a 10 min walk, or 3 min drive from the place - we were disappointed by that, so you should just know that up front (and once we were there, it was great). New, clean with high-end appliances and nice beds. Loved that every room had a TV and the garage is attached to the unit. Great overall experience at this rental. The rental company is very professional. Excellent communication with codes, passwords, policies, etc. Very new, clean place. Plenty of room for two families with one child each. Close to ski mountains and downtown park city. Two car garage was nice to have. Roads and walkways were cleared well from snow. Nice linens/towels. Only downside was no cell service for AT&T. Would definitely stay here again. Lovely home. Very comfortable. Will do it again!